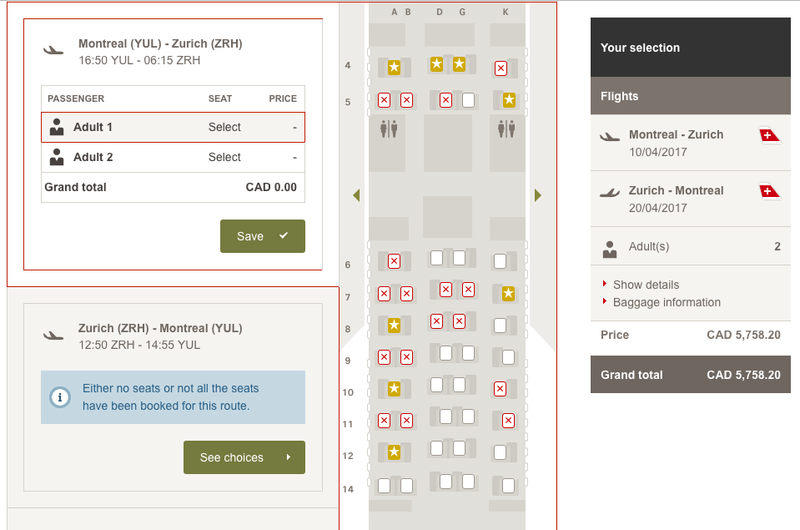 Finding business class flights to Europe from Canada. 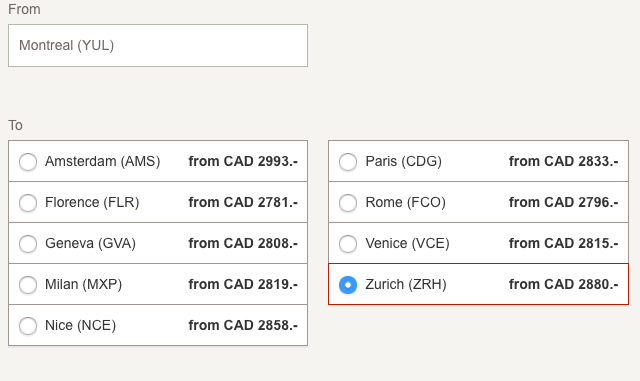 for under $3,000 seems to be limited to specials from airlines like Air France and KLM and on the occasion from British Airways. So when another airline offers up sub $3,000 tickets it is newsworthy! Star Alliance airline SWISS (and Aeroplan partner) have launched this companion ticket special for travel in SWISS' great business class out of Montreal. You must book this offer by March 13th and you and your companion will travel in style to Europe for close to the same price usually charged for one ticket! This offer is good for Monday-Thursday flights for most of 2017.